Russia simulated a 'large-scale military attack against Nato' in its war games in September, the commander of the Estonian Defence Forces has claimed. 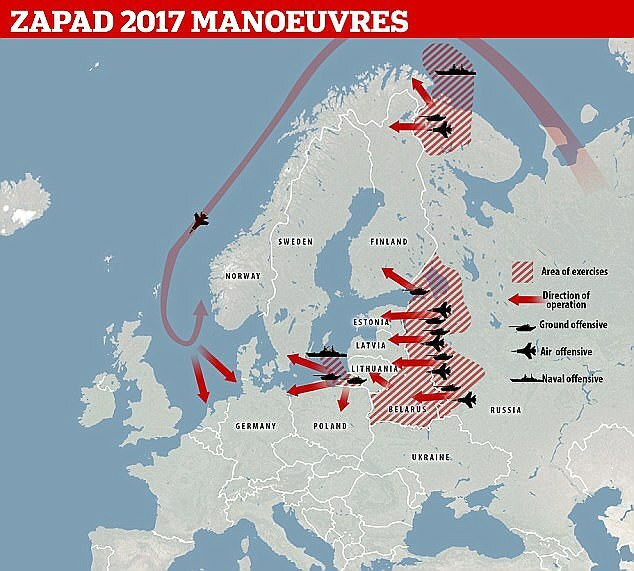 A massive programme of war games featuring tens of thousands of troops and code named 'Zapad' took place near the Belarus capital Minsk in September. Estonian Defence Forces General Riho Terras has confirmed that the exercises were a simulation of a conflict with the US-led Nato alliance.